First spray | Carnahan & Sons, Inc.
We hope you had a beautiful Easter holiday. After testing the JD 4730 sprayer this morning, checking for leaks and that all is working properly, (discovered that the sprayer needed 2 O-rings) John prepared the first tank full of spray material. Late in the afternoon, he started spraying burndown chemicals and residuals for some soybean acres. The soil is a little soft, but adequate for the sprayer to travel over it. This is a good first day to get started, a little cool, but low winds <9mph (15kmh) make for good conditions. As we scouted the fields about noon today, (we used the Gator to check to see if the soils were firm enough to hold up the sprayer) we discovered some marestail weed getting started. This farmer’s arch-enemy must be stopped early, so it lends some urgency to getting the sprayer rolling. Hopefully, in about 10 days, the soybean planter can begin! John loaded up the 4730 sprayer, and now it’s ready to go to the field! Here he goes, getting the spraying started today. This machine applies a 100-foot swath with each pass across the field. The soil is a bit too wet and soft in the fields that are planned for corn. The first operation for corn is to knife in the nitrogen. 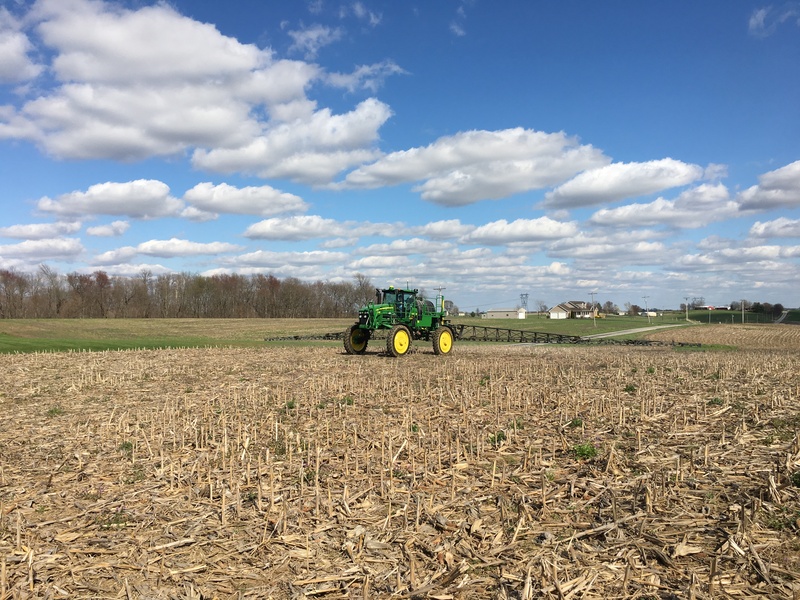 We use the anhydrous ammonia form of N, because it is the least expensive to utilize. After the nitrogen goes down, the sprayer comes next, to burn down the weeds. Then comes the corn planter. It all has to occur in sequence. Brandon finished delivering the current contract of corn to GPC this morning. No more corn deliveries until April 1st. Not sure if we will be able to ‘green light’ the sprayer tomorrow, but we will see what the day brings. 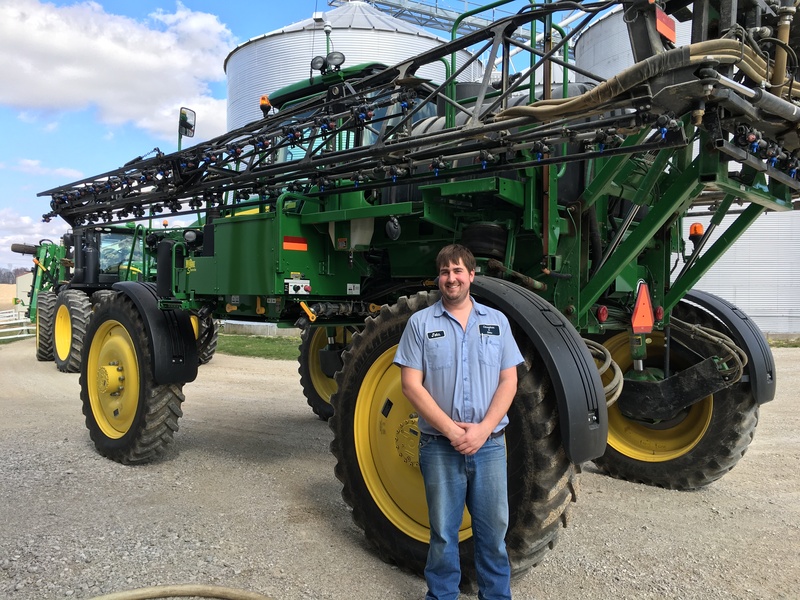 This entry was posted in Farm Days, News, Planting and tagged burndown herbicides, JD 4730 sprayer, John Carnahan. Bookmark the permalink.